Conservative David Lloyd has been re-elected. Most people don’t know who their Police Commissioner is and surveys have shown that many have no idea what they do. Something’s obviously changed in Hertfordshire, though, because turn-out for the vote more than doubled, from a disastrous 14.5% in 2012 to an almost creditable 29% this year – and that’s in a year with no local authority elections to boost the vote. None of the candidates secured 50% of the vote in the first round so counting went to a second round, in which Lloyd beat the Labour candidate Kerry Pollard 126,069 votes to 85,854. Chris White, the Liberal candidate, came third, with 38,488 of first round votes. The UKIP candidate, who is a financial adviser to ‘professionals and the comfortably well-off’ in Royston, came dead last. Learn more about Police and Crime Commissioners on the Government’s web site. There’s a good results page on the BBC News web site. The BBC also has a handy guide to what P&CCs actually do. 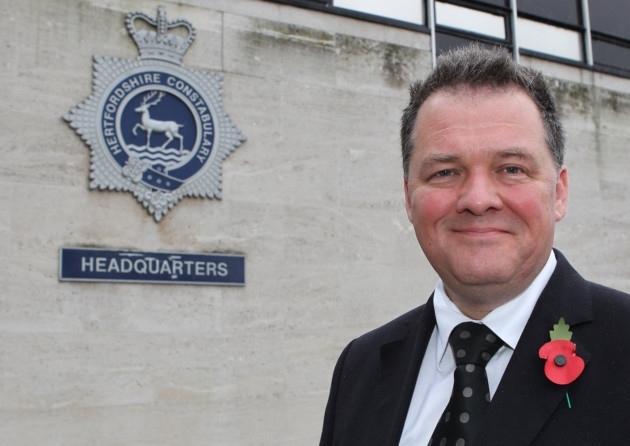 David Lloyd’s official Police Commissioner web site.